Habla espanola? In just 15 minutes a day you can speak and understand Spanish with confidence, with this revolutionary new system for learning a language. The unique visual approach makes learning quick, easy and fun. No writing or homework - just use the cover to hide the answers and test yourself as you learn. Real-life examples cover every holiday and business situation. Accompanying CD will help you perfect your pronunciation. 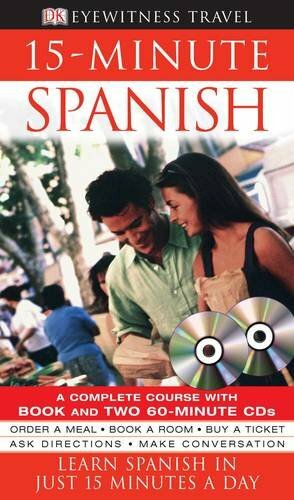 Whether starting from scratch or just in need of a refresher, there is no easier way to learn Spanish - fast.